There was a rat stuck in one of my heater vent pipes earlier today. I could hear him scratching around. I grabbed a Mag-Lite and a hand saw and went to the heater closet. 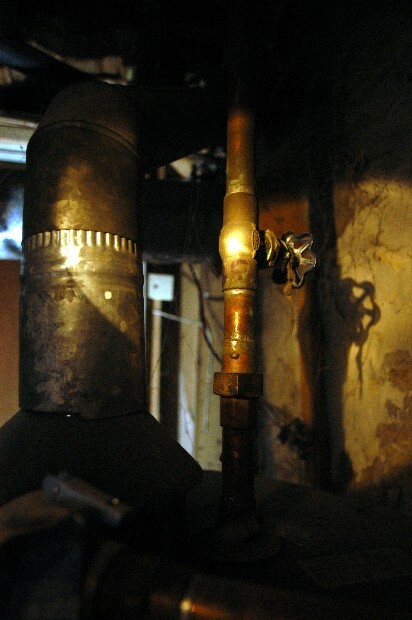 i opened it slowly and discovered the sound was coming from the large pipe from the heater. I called the landlord. He called animal control. I banged the side of the pipe with the Mag-Lite. Now the rat is gone.